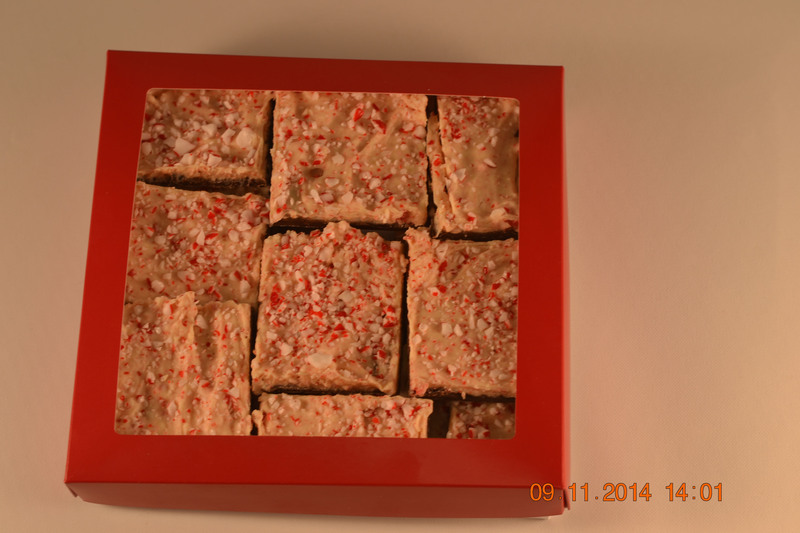 Our Dark and White peppermint bark is sure to become a Christmas tradition at your house! We combine a thin crisp layer of Dorothy's amazing dark chocolate with a layer of Dorothy's white chocolate. Next, we shower it with yummy peppermint candies. Our barks are tossed by hand on marble slabs -- to ensure you get the crisp snap of fine chocolates with every bite of Dorothy's This product is rated five stars by our customers, and is only available during the Christmas season. From Susan Fox of St.Petersburg, Florida on 12/7/2012 . From Rickey Hunt of Bainbridge Island, Washington on 11/30/2012 .